I was watering the garden last night when I felt something sting my leg under my pants. A few seconds later, it happened again, a few inches away. I shook my pants leg and millions (ok, it was actually only 5 or 6) bees flew out from my pants leg! Although I have no history of bee sting allergies, I had my resident EMT (my 16 year old son who just passed his EMT certification test) check out my legs. He said that there were 2 obvious bites with minor swelling, gave me an ice pack and said I would survive. 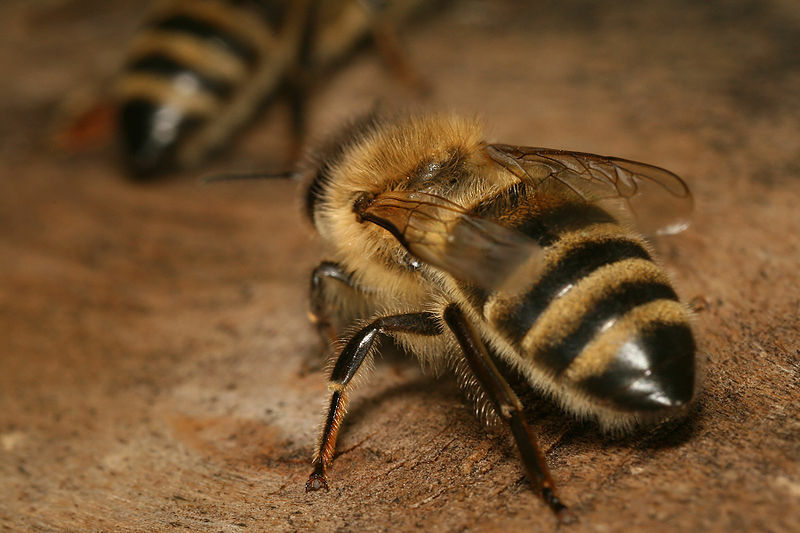 When a honey bee stings a person, it cannot pull its stinger back out. It leaves behind not only the stinger, but also part of its abdomen, resulting in the death of the bee. When a bee dies, it releases pheromoes which prompt other nearby bees to attack, so one sting often results in multiple stings. Bee stings contain the toxin melittin which causes the pain associated with bee stings. They also contain histamine which causes itching, just like a mosquito bite. 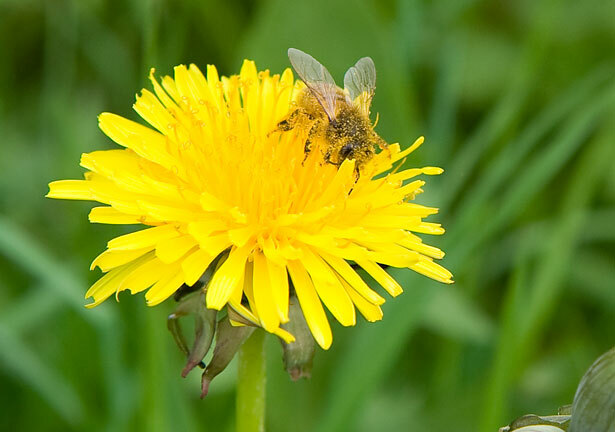 People have differing responses to the stings of various insects, and a person who is allergic to bees could potentially have a dangerous anaphylactic response – hives, throat swelling, inability to breathe – that would require an ambulance ride to the hospital. The first step is to remove the stinger itself in any way possible – some people pinch the skin, others scrape off the stinger. The quicker this occurs, the less toxin can be delivered. After that, pain and swelling can be reduced with a cold compress. Any sign of anaphylaxis should be followed by a call to 9-1-1! If the pain of the sting doesn’t get better after a week, or if the localized swelling covers an area greater than 3 or 4 inches, a doctor should be seen. Of course, the easiest way to protect yourself is to avoid being stung in the first place. Bug repellent should do the trick, and I know I’ll be wearing some the next time I water my garden!